In the night – a light. Conor McPherson’s THE NIGHT ALIVE at Third Rail offers genuine theatrical sustenance. A simple question you would think, and one asked several times (and sung once on the soundtrack, care of Marvin Gaye) over the course of Conor McPherson’s latest play THE NIGHT ALIVE, now receiving a wonderfully tuned production at Third Rail. But as anyone new to the grit and grime, the humor and violence of McPherson’s distinctive dramatic landscape will soon discover, figuring out what’s going on there is often as hard for the characters themselves as it is for the audience. Where are we? Who are we? Why are we? Are things going to work out? And what have you done with my turnips? These are just a few of McPherson’s favorite questions to probe – and he does so here to glorious effect. McPherson, a Dubliner, is a massively talented writer, and as the years go by he only continues to evolve and improve. In the course of his long career he has moved away from the well trodden drunken monologue style, as standard in Irish theatre as rain in Galway, and toward the much more enriching dramaturgy of a handful of characters on stage slowly, unevenly, wittily trying to work out (did you guess) what’s going on. With plays like SHINING CITY (also done by Third Rail a few years back), THE SEAFARER and now THE NIGHT ALIVE, McPherson has created a style and world that is simultaneously contemporary and timeless. 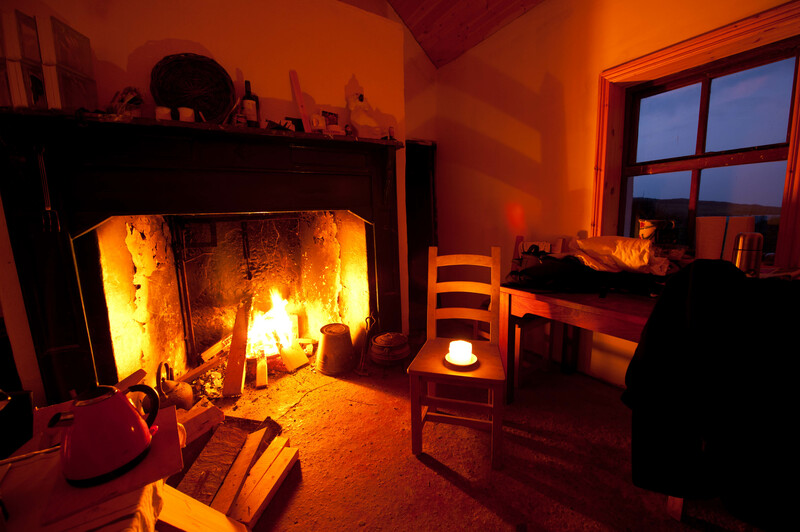 You could draw direct lines between his own work and that of his many precursors, both in Ireland and beyond. But his voice is now utterly distinctive. One of the interesting things to note about this middle-aged writer, especially given his unrelenting voyaging through bleak and desperate terrain in years past, is the visible joy that now pulses through his writing like a heartbeat. It’s everywhere, as omniscient and sustaining as blood in the veins. You could even call it the power and love of god, where the g word is understood in the largest and most expansive way. McPherson has found his religion, even while his characters may continue to struggle. And the results for audiences are lasting and profound. THE NIGHT ALIVE evokes, without directly talking about, the wreckage of life and the possibility of salvation. McPherson reminds us that every moment you draw breath is a gift, no matter how dark things may seem. He is one who finds possibilities for humans in every circumstance. And the circumstances of typical McPherson characters are typically not lifestyles of the rich and famous. Plot, such as it is, is never really the thing in a Conor McPherson play. It’s all about the characters and small moments. His plays become showcases for great actors – particularly Irish ones – to inhabit and shape a live performance experience that can approach the power of closeup on film. In Third Rail’s production, the fabulous Damon Kupper is Tommy, who begins the play by bringing Aimee (a very strong Christina Holtom), a young woman off the street who has just been beaten up by someone, back into his living space for shelter. As Tommy himself is squatting in the ground floor of a house owned by his Uncle Maurice (Del Lewis), he can’t be said to be inviting her “home”. But at least it’s some sort of refuge from the mean streets of Dublin’s north side. As the play unfolds, several story lines emerge. There’s Doc (a very good Michael O’Connell), Tommy’s sidekick and professional colleague, who is a few cards short of a full deck – and also on the verge of homelessness. And Kenneth (Rolland Walsh), who is from the harsh world Aimee just left outside the door. Maurice is still smarting from the accidental death of his wife three years ago. It must be said that this is a kinder and gentler reading of the play than the original Donmar Warehouse production, which featured Ciaran Hinds as Tommy and Jim Norton, a veteran McPherson actor, as Maurice. One of the occupational hazards of putting on contemporary Irish plays in America is the temptation to make them happier, cheerier – more American. The dance sequence in Brian Friel’s DANCING AT LUGHNASA, which in stateside productions has been turned into a Riverdance celtic eruption but was written to channel the blocked emotions of imprisoned sisters who will die homeless and penniless, is probably the most famous example of this. There’s a little bit of the softening effect going on here – including a few changed lines. There’s some slapsticky feel good, some rom com mood music. Kupper, who is such a gifted comedic actor, is cast against his own physical type as Tommy, and he mostly pulls it off. But more physical marks of stress and hard living – a more accurate representation of the wasted physical specimen that Tommy is – could add a little more to the experience. It is hard to see Kupper kitted out with mustache and Members Only style jacket and not go immediately to Boogie Nights laughter. He’s also perhaps a little young for the role. The menace that is always there in a McPherson play falters a bit with Rolland Walsh as the bad man. In the original production, the entrance of Kenneth was terrifying. Here, perhaps because of Walsh’s physically unimposing presence, it’s not as dangerous and edgy as it needs to be. However, there is still one of those only-in-the-theatre moments when Kenneth reveals who he really is – and Walsh nails it. On a final note, Portland’s shortage of first rate mid size theatre space is evident here. CoHo is much too small for this show, which feels crammed in to every available inch and aisle. It’s to director Scott Yarbrough’s credit that it works as well as it does, though there are a few sightline problems. But the little old CoHo, which can’t even fit a full house of audience members into its lobby, is simply not a great space, never will be, and will only hold back theatres like Third Rail that have the ability and ambition to create truly top notch work for tomorrow’s booming Portland audience. It’s time to move on to …? If you build it, they will come. It now seems clear that the decision to plow millions of city dollars into the single leviathan PCS Armory project (which only this year needed millions more in PDC debt forgiveness to stay afloat) was a mistake. 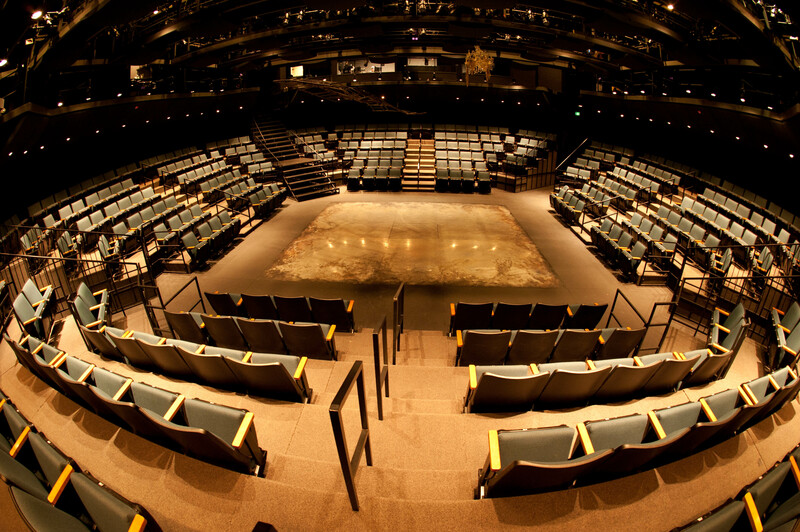 For the same price, we could have gotten four (count ’em) state of the art mid size, configurable black box spaces like OSF’s incredible Thomas Theatre – which cost a mere $8 million (not including the parking garage). Instead we built the wrong space at a huge cost, and the end result is shows that almost have to give tickets away. Today all we need is one such space to make all the difference. The music scene just got Revolution Hall. When will a new real theatre space – not a made over mason’s lodge or car dealership – go in? Shows of the quality of THE NIGHT ALIVE should be playing in a top flight location. A holy place. For less than 1/4 the price of the Armory, Portland could have built the kind of theatre space the city actually needs.